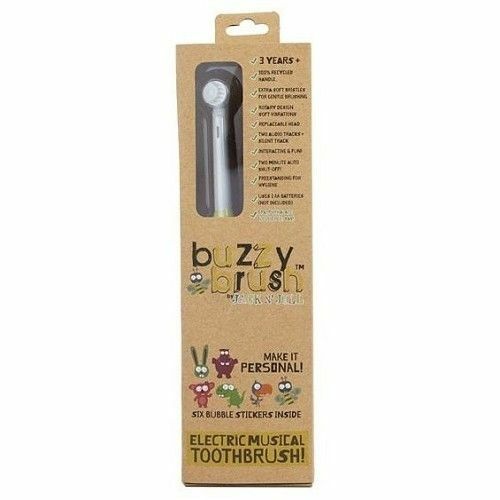 Therefore Jack n Jill Electric Toothbrush is a customisable musical toothbrush to make teeth brushing fun! 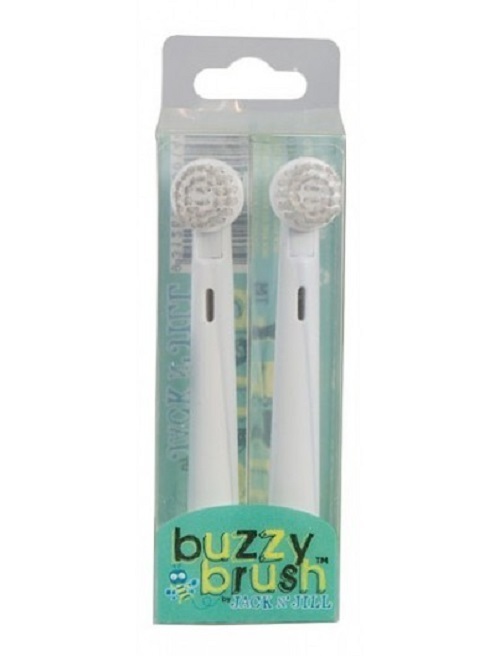 It has a super gentle rotary action and the toothbrush heads contain super soft dupont nylon bristles. 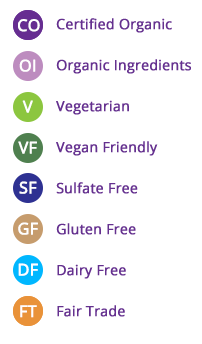 All components of the toothbrush heads are bpa, pvc and phthalate free. And the hand is made from recycled and recylable ABS plastic. 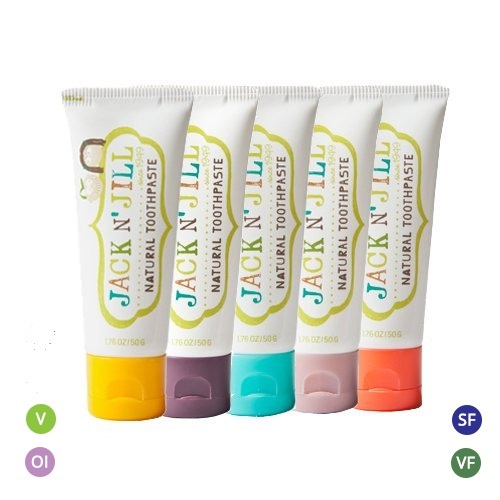 While replacement heads available to buy in 2 packs.To make toothbrushing fun and helpful. The toothbrush plays a toothbrushing song for 2 minutes and then auto shuts off. While there are 3 modes to the audio, the song. A spoken track with instructions on how to brush your teeth and a silent mode. 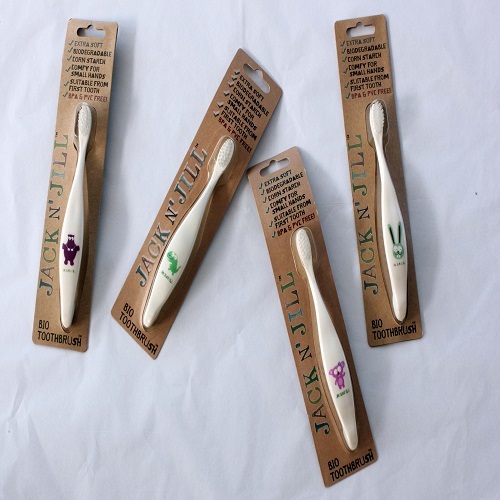 Customise the toothbrush with 6 bubble stickers that match the characters on the rest of the Jack n Jill range.Also power the toothbrush with 2 AA batteries (not included) and insert removing the base of the toothbrush.